The new-look Chicago Cubs are ready for a new season and a new era at Wrigley Field. With a new front office and most of the roster new from last year, the Cubs hope to make some noise in the National League Central Division. And at 1:05 PM on Thursday, April 5, the 2012 season begins. Theo Epstein was brought into the Chicago Cubs’ front office this winter to give the Cubs a new look, and he’s done precisely that with new players and new coaches. Dale Sveum is now the head coach, replacing Mike Quade. Meanwhile, Carlos Zambrano and Aramis Ramirez are both no longer in Chicago. But the Cubs are bringing back some exciting young players. Shortstop Starlin Castro, a 2011 All-Star, will continue to be the headline-grabbing offensive star on the roster. Rookie Bryan LaHair, one of the top hitting prospects in baseball, will take over at first base, and David DeJesus will start in right field. Ryan Dempster and Matt Garza return to the starting rotation, and the Cubs have added some young players that could make an impact. Travis Wood and Paul Maholm will battle for starts in the middle of the Cubs’ rotation this season. Kerry Wood is back in the bullpen, leading a good young group that could include Jeff Samardzija, James Russell, and James Gaub in front of closer Carlos Marmol. With All-Stars Albert Pujols and Prince Fielder leaving St. Louis and Milwaukee, respectively, for big money contracts in the American League, the door is wide open for the Cubs to make a run for a playoff spot with a young team this year. For more information about the Chicago Cubs, click here. For the Cubs’ complete 2012 schedule, click here. 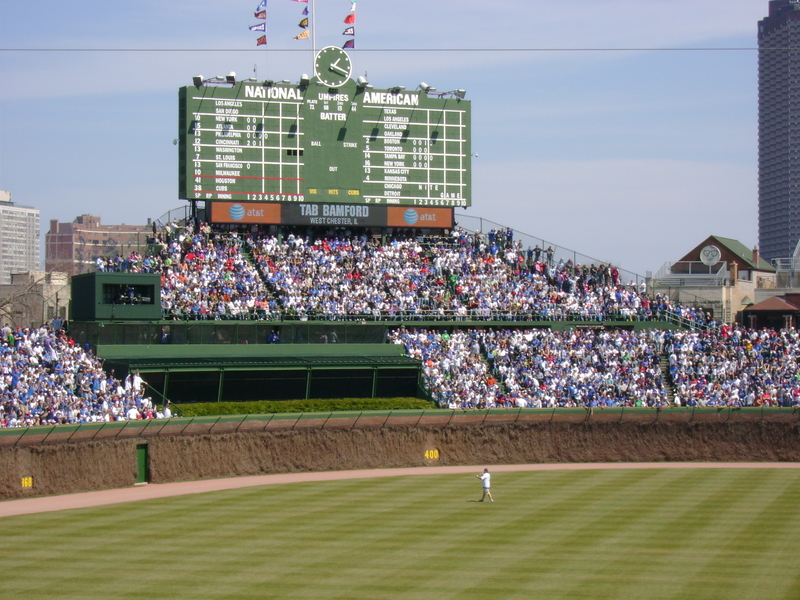 To purchase tickets to a 2012 Chicago Cubs home game at beautiful Wrigley Field, click here. This entry was posted in Sports and tagged 2012, baseball, Chicago Cubs, MLB, National League Central. Bookmark the permalink.